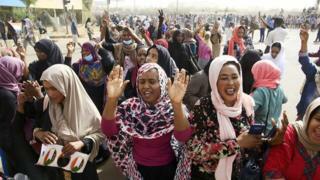 Sudan's President Omar al-Bashir has been ousted and arrested following months of protests, the army has announced. It is a momentous move - Mr Bashir had been in power for nearly 30 years and was a severe and uncompromising ruler. Mr Bashir seized power in a military coup in 1989, amid a long civil war between Sudan's north and south. The International Criminal Court (ICC) indicted Mr Bashir on charges of crimes against humanity and genocide - although the investigation was eventually suspended due to a lack of UN support. 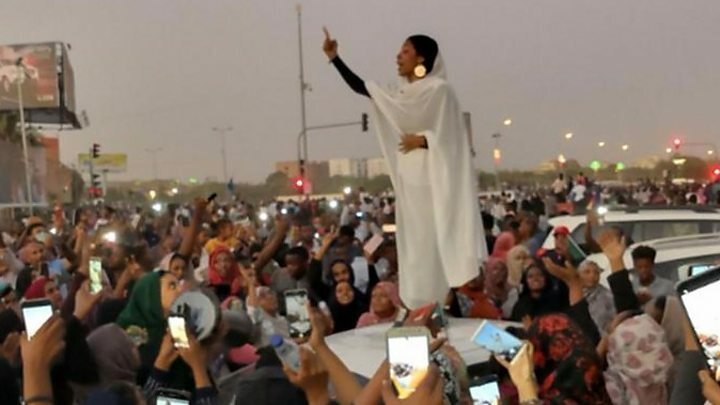 What next for Sudan's master manipulator? However, the split had significant financial repercussions, because South Sudan gained 75% of the territory's oil. Sudan's economy - which had already been strained by more than a decade of US sanctions - was hit hard. The government imposed austerity measures and cut subsidies in response to the drop in oil revenue - but this lead to waves of protests as prices for basic goods shot up. In late 2017, the US lifted some sanctions on Sudan. However, the economy continued to deteriorate - by November 2018, inflation was at almost 70%. This triggered waves of mass protests across the country in December. The protests were initially focused on living costs - but soon demonstrators also started demanding that Mr Bashir step down. In February, Sudan's National Security and Intelligence Services said that Mr Bashir would step down. He also tried to placate protesters, saying he would stand down at the end of his term in April 2020 and not seek re-election. However, this was not enough for demonstrators - and critics argued he had previously pledged to step down and then gone back on his word. Thousands camped outside throughout the week - and while security forces used tear gas and made arrests, the police ordered officers not to "intervene against the citizens or peaceful rallies". The police said they supported the "peaceful transition of power".